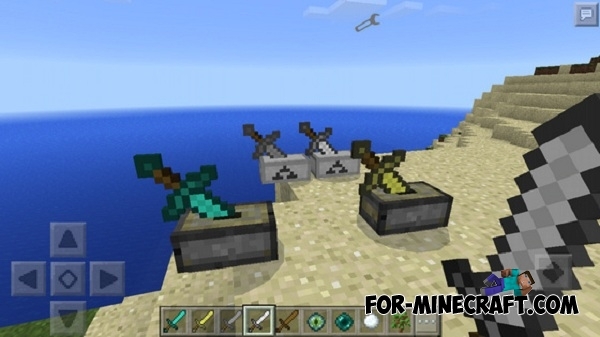 Sword Pedestal mod adds two new blocks, that can be used as a stand for swords. It looks like a Armor Stand mod, except that it is used for your sword instead of the armor. 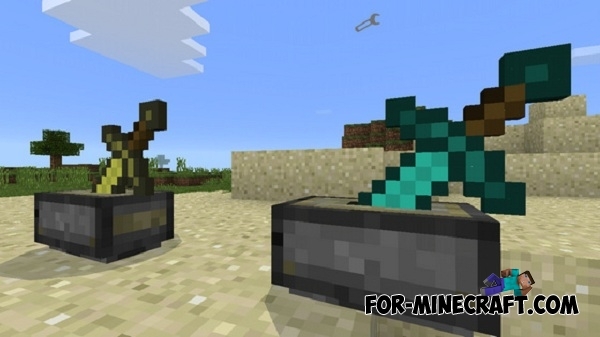 You can get pedestals finding them in the creative inventory or by crafting them in the game. Currently, mod has bugs in survival mode (for example, it is impossible to get a sword placed on a pedestal, or a sword will not be saved when leaving), but we hope that this will be fixed soon. 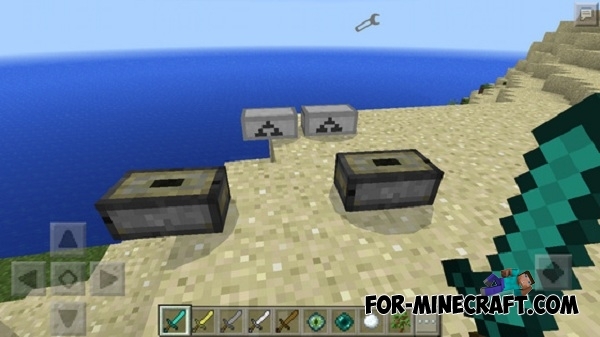 Cobblestone for pedestal (201) - 1 gold ingots + 3 cobblestone plates. 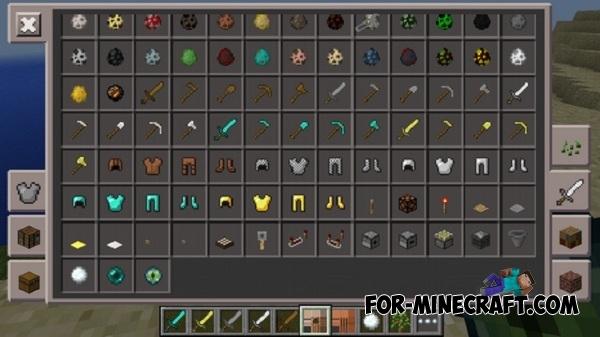 You can place any of these items that will be displayed: wooden sword, stone sword, golden sword, iron sword, or diamond sword. Tap on the pedestal again, to get the sword (but as mentioned above, now it can not work in survival mode).